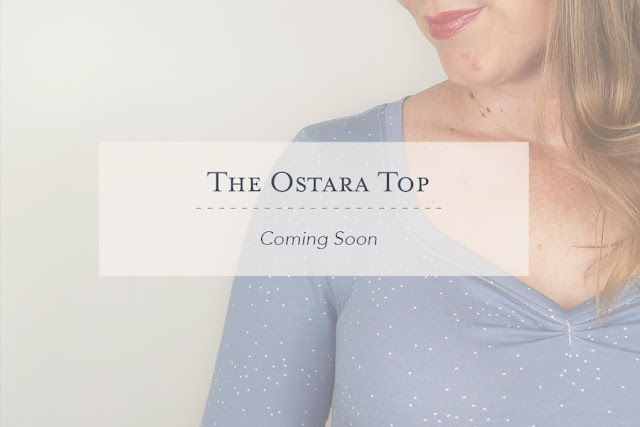 I thought I'd just pop in to let you know that I have a new pattern coming out next week, The Ostara top! If you like pretty, vintage-inspired (and quick to sew) knit tops, Ostara might just be a welcome addition in your transitional wardrobe. With two necklines and two sleeve lengths to choose from, Ostara gives you plenty of options to mix and match to your hearts content. If you'd like to be the first to have access to the pattern as well as get the subscriber-only discount, make sure you sign up to my newsletter before 11pm Monday 5th March NZDT.